SRN Building Materials, was founded in 2003 and is based in Istanbul, Turkey. Growing together with our principals, our company is specialized in the distribution of KALE products in 2017. Today, we are proud to be one of the most leading companies in our sector. Adding Canakkale Seramik, Kalebodur, Kale Bathroom, Gorbon Tiles, Kalekim, Kale Color ve Kale Thermal Insulation Systems brands in our product range, our company continues to grow with success as a largest distributor of KALE products in Istanbul. We are committed to the highest standard of customer satisfaction and offering a large selection of commercial and residential building products. We have over 9,500 square foot of warehouse space and offer large inventory of construction supplies. Our impressive 2,800 square foot showroom in Istanbul has a huge selection of all the latest and innovative building material products in the industry. Celebrating its 60th anniversary this year, Kale Group ranks among the largest industrial conglomerates in Turkey. Laying its foundation with Canakkale Ceramic Factories Corporation in 1957, Kale Group pioneered the formation of the ceramics industry in Turkey, and has become an industry giant internationally with its investments. It has grown over the course of time with investments in machinery and equipment manufacturing, defense, chemistry, electrical appliances, energy, IT, transportation, tourism and food industries. 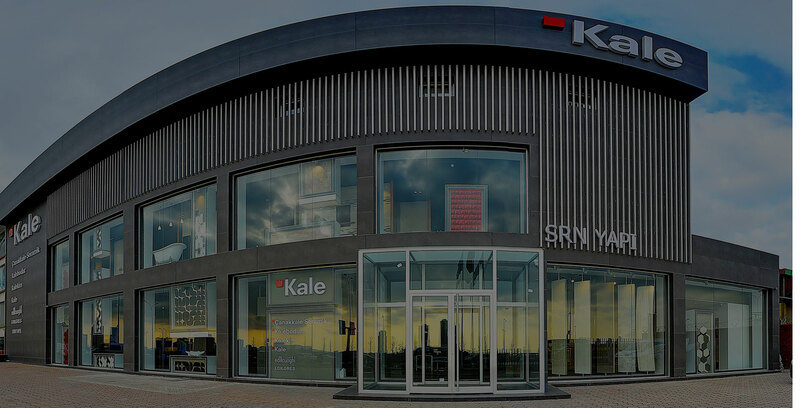 Kale Group is currently comprised of 17 companies, and is regarded as one of the most important industrial enterprises of Turkey with over 5,000 employees, spanning over a geography across Canakkale to several locations in Turkey to Italy and Russia. Kale Group is Europe’s 3rd and the world’s 12th largest ceramics manufacturer and in construction chemical sector, it is ranked first in Turkey and the region and 5th in Europe in terms of production and sales volume. Moreover, as a 100% private Turkish company, it is taking on a leading and influential role in defense and aviation sectors. Kale Group provides its products to consumers in over 100 countries via more than 400 sales points. to continually improve the effectiveness of quality, environment, occupational health and safety management systems. Thank you for your interest in our company. If you need further assistance or have any questions related to our products, please do not hesitate to contact us by filling out this contact form. We will respond as soon as possible.